How have you all been..?? With spring here, we can see the magnificent beauty of nature all around us these days. And soooon scorching summer woud be here. Its already hot here in Delhi/Gurgaon. I have always had this love-hate relationship with summers. The good part is that we have all the light flowy gorgeous clothes to wear but the bad part is the scorching heat and loo that make us confined to our homes. 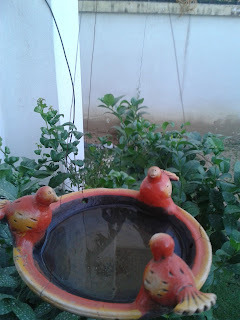 But ever thought about how these mighty small featered friends of ours deal with the unbearable heat. 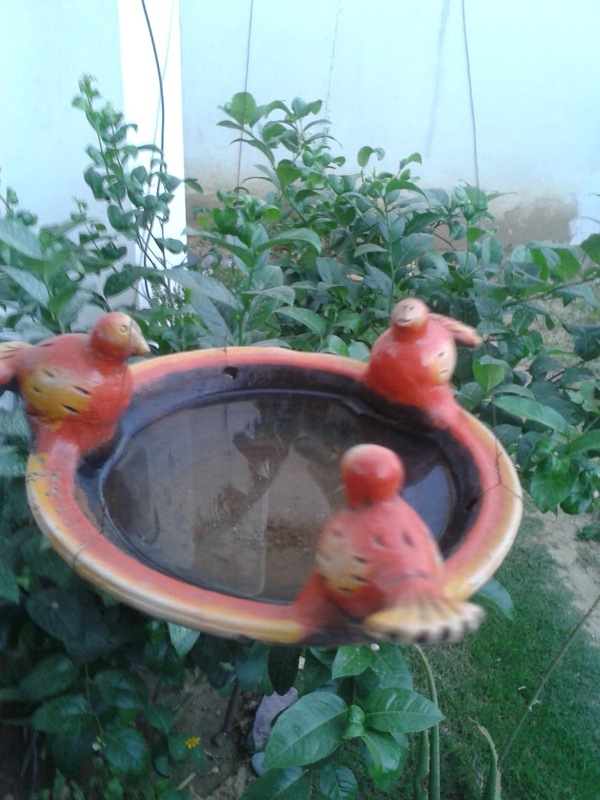 The least we can do to help them is to get a bird bath for them, so that they dont have to fly miles in the heat to search for few drops of water. Every year many birds die because of heat. To help them out, just do your bit and get a bowl of water outside in your balconies and gardens. 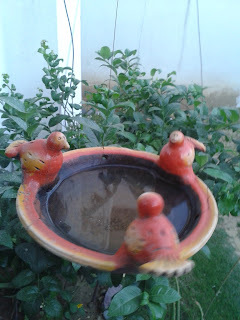 So let us all welcome the birdies with a huge heart. 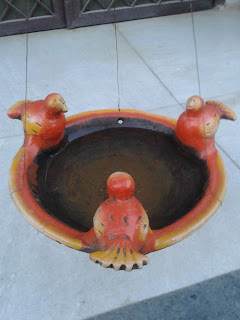 Here is a look at our bird-bath in the backyard. By the ways do you, 20th March was Worlds Sparrow Day. They have almost vanished from Delhi, though these can still be seen in Gurgaon. But these are on the list of endangered species in India. Lets do our bit to save them.